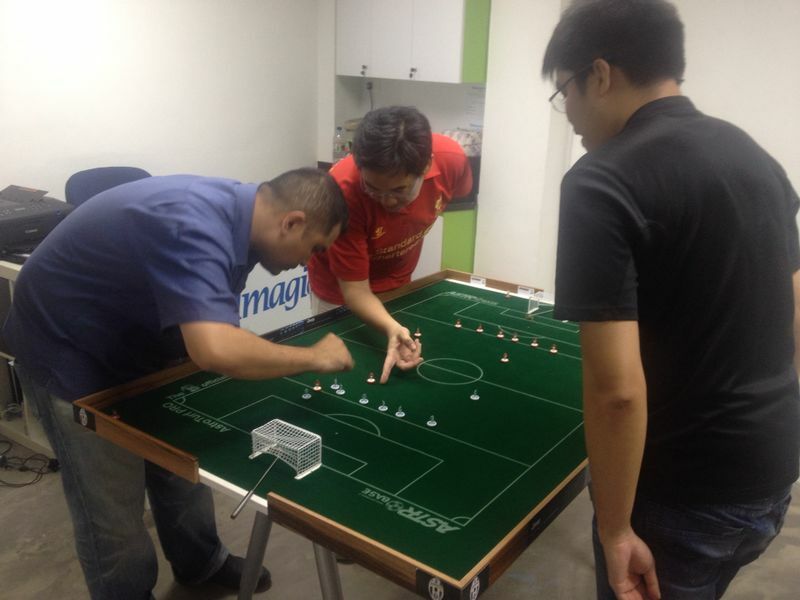 In conjunction with the Singapore’s National Day, the latest table football venue in Singapore, Stadium de Imagio, hosted its 2nd WASPA tournament. 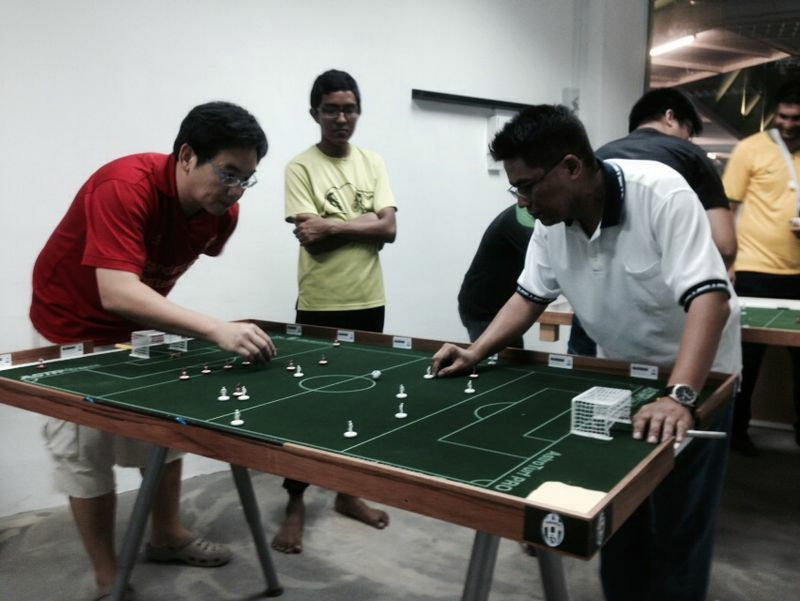 Host Michael Choong welcomed 7 other players for a this 8-player mini-tournament. 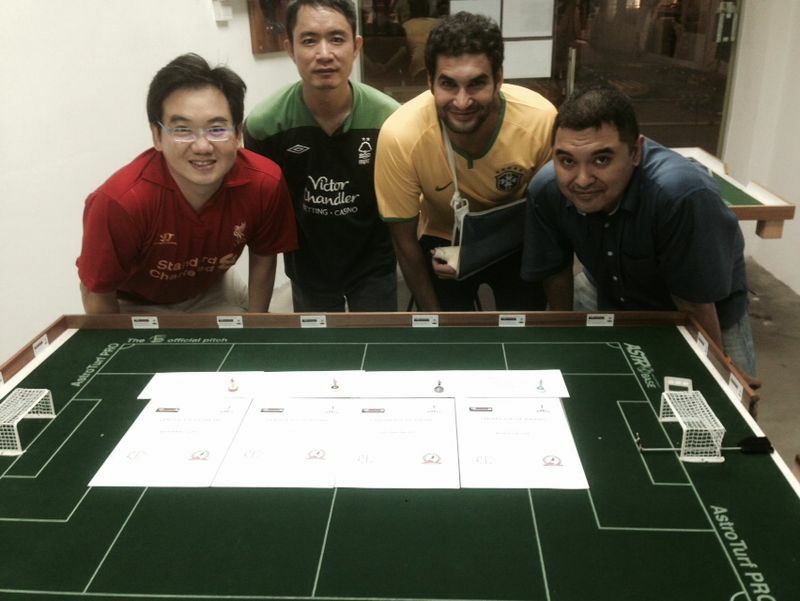 The 8 players were randomly drawn into 2 groups of 4 players each, and competed on a round-robin basis. 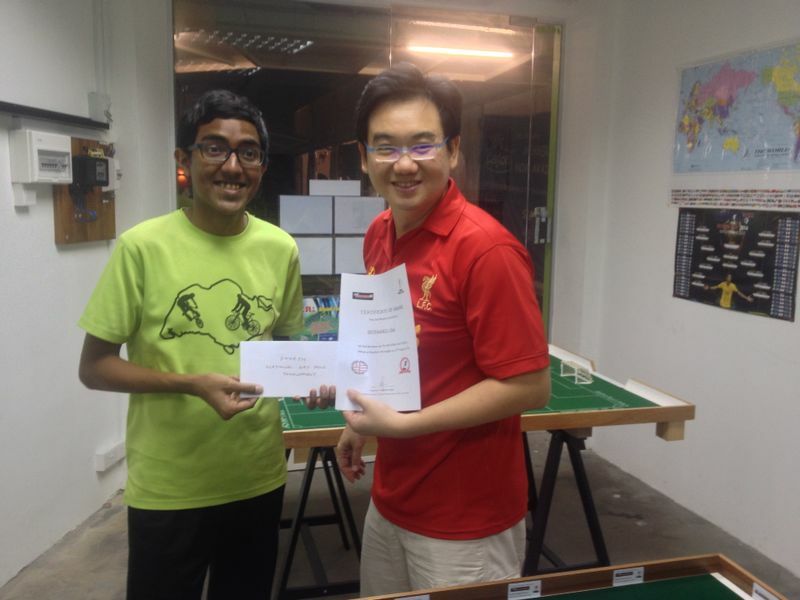 The top 2 players advanced to the knockout semi-finals (group winner vs the other group’s runner-up) with the subsequent winners meeting in the final. 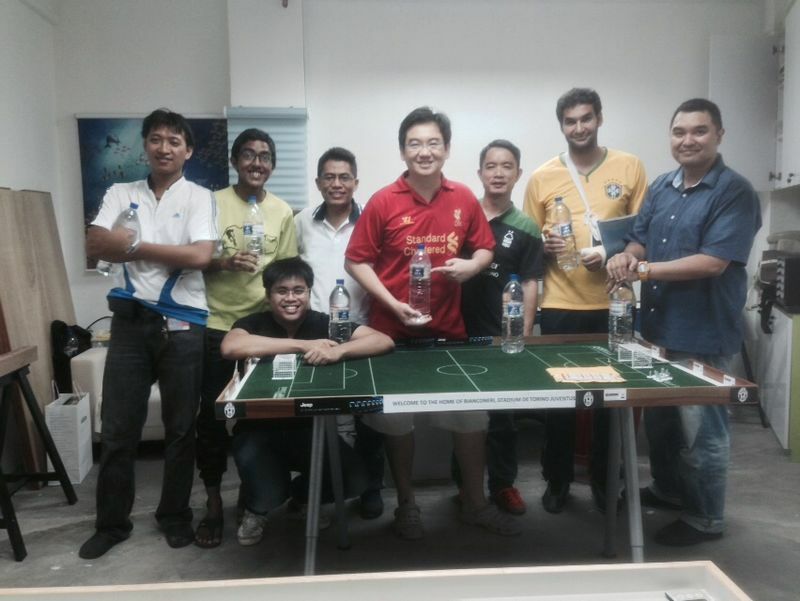 Each player adopted a club side to represent in this tournament. 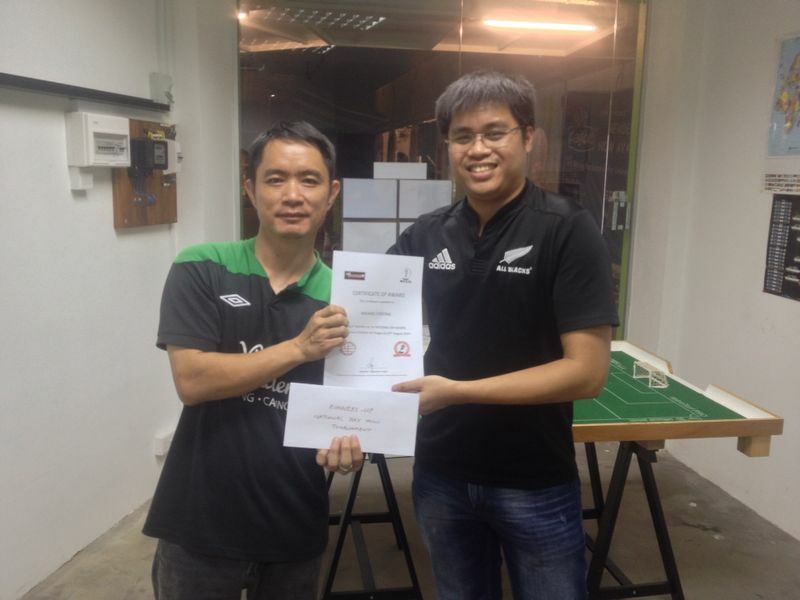 Group A consisted of Rudy Hesty (Manchester City), Bernard Lim (Liverpool), Rizal Taib (Hibernian) and Nur Hashim (Galatasaray); while Group B consisted of Ouabi Rouis (PSG), Michael Choong (Juventus), Anas Rahamat (Arsenal) and Nic Tan (CSKA Moscow). 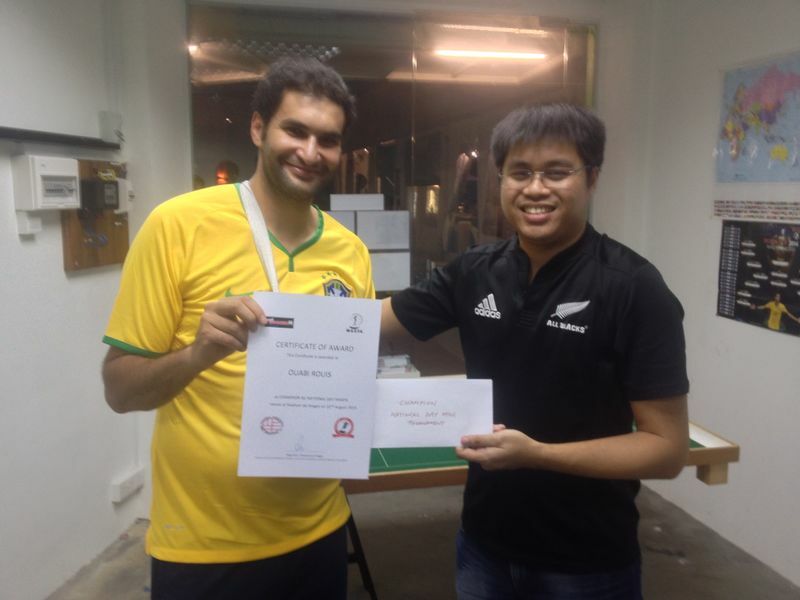 As expected, Rudy and Bernard both qualified from Group A with Rudy winning the group with a 2-0 win over Bernard. Over in Group B, Ouabi comfortably won the group winning all his 3 games. 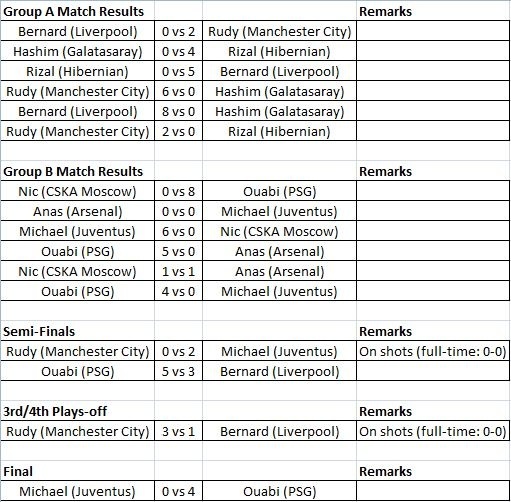 The group runners-up is a toss-up between Michael and Anas going into the final group games with a 11-goal difference between them. In the end, Nic put paid to any hopes of Anas sneaking past Michael with a 1-1 draw. 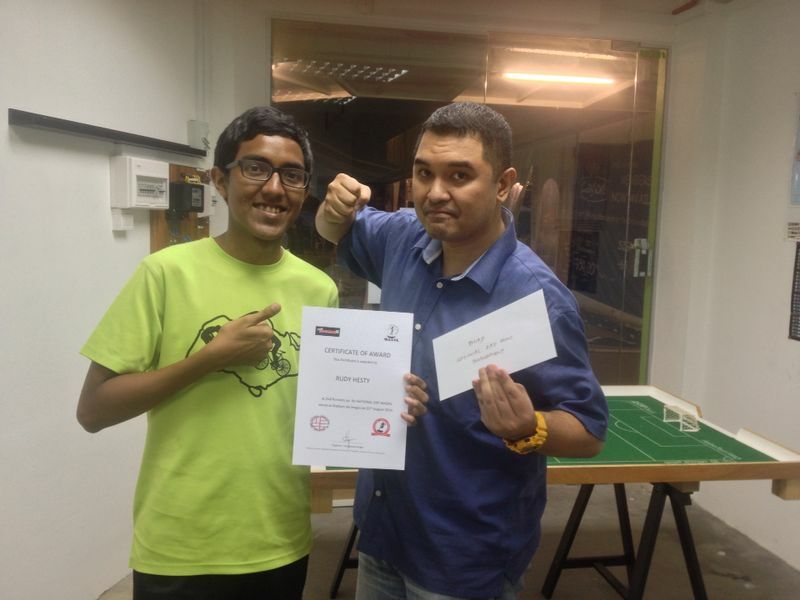 The 1st semi-final was a tense and tight affair with Michael eventually triumphing with 2 goals on penalty shots. The 2nd semi-final saw Bernard putting 3 goals past Ouabi although he got hit 5 goals in return. While the scoreline may suggest otherwise, in truth, it was a comfortable game by Ouabi who was always in control of the final outcome. 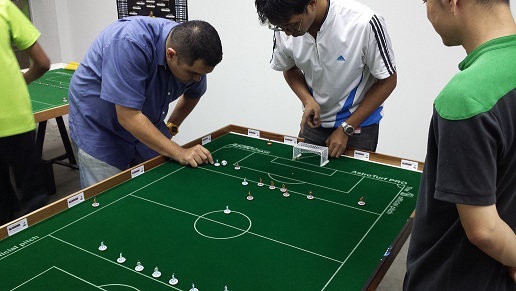 This game is a re-match of the earlier group game that saw both players unable to make a breakthrough – owing to exhaustion – with Rudy clearly in command pounding on Bernard’s goal throughout the game. In the end, it took shots to settle the issue with Rudy winning 3-1 to take 3rd place. The final is yet again a repeat of their earlier group game with the final scoreline also a repeat – identical 4-0 win for Ouabi. While Michael tried his very best to put up his renowned stubborn and tight Italian defemce, Ouabi still possess an attacking answer to every defensive question that Michael put forth to him. Congratulations to Ouabi for winning yet again at Stadium de Imagio! !